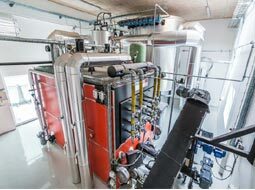 Danstoker Poland offers a wide range of boilers for industry and district heating for majority of applications – hot water, high temperature hot water or steam. More than 80 years’ experience with boilers guarantees a quality which includes environmental considerations and operational economy as important parameters. For first time the company will join the EE&RES exhibition in Sofia, 27-29 march. Visit their stand - A18! Please tell us more about your company, products and activity in the region. Danstoker Poland is a subsidiary company to Danstoker A/S – a company that is a leading Scandinavian manufacturer of boilers. So far Danstoker, despite many projects in Poland, was working from HQ in Denmark. However, in April 2017, Danstoker group decided to buy a modernly equipped production plant located in Ostrowiec Świętokrzyski (Poland). 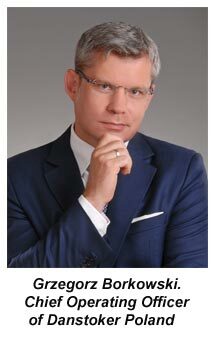 The main reason was the interest in markets of eastern and south-eastern Europe. An additional argument to buy the plant and mark the presence of the company in Poland was the fact that the plant being taken over had qualified staff already working in the industry, which guaranteed a very short adaptation period and rapid progress in achieving the set goals. In addition, having a plant in Poland and so close to the target markets, offers the opportunity to invite the customer to the factory. This guarantees close cooperation, where our engineers can work with the client directly through all stages of production and implementation of the project. The offer of Danstoker company is very wide: from oil and gas boilers, biomass and solid fuels boilers, electric boilers, WHRB boilers, recovery boilers for cogeneration to absorption heat pumps and chillers. Which of your products will you present in Sofia and why attendees should choose Danstoker ? We will focus mainly on presenting biomass boilers. 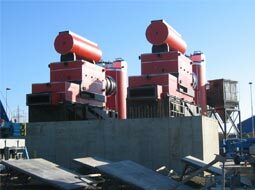 In this category there are steam and hot water/high pressure hot water, shell and tub, box and water tube boilers. The parameters for the above boilers are respectively: capacity from 200 to 50,000 kW, steam rating up to 68,000 kg/h and pressure from 4 to 43 bar, depending on the design. Such a wide range of parameters guarantees that we are able to tailor the solution to the needs of virtually every customer. What is most important as we offer a wide of range of types of boilers and technologies we are able to fulfill basically any request. Presented products will be standard products but non-standard products in any category within the offer are available upon request. As Danstoker Poland is part of the Danstoker Group, we are working with all subsidiary companies across the Group and we are able to deliver with cooperation with our sister company Boilerworks A/S - i.e. water tube boilers with capacities up to: 100 MW or 150 t/h steam and design pressures up to 85 bar-g.
Additionally the Danstoker Group is a part of the Thermax Group. Thermax Limited offers a series of technical solutions for the international energy and environment sectors. Headquartered in India, Thermax is represented in 75 countries with offices and production facilities all over the world. This is our strength – being part of the Thermax Group gives us endless product possibilities and we can basically deliver any requested solution. This flexibility makes us a very desired partner. Besides we have over 80 years of experience and over 2500 successful projects to back it up. 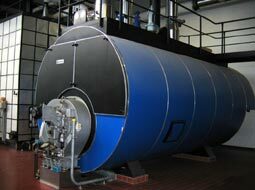 Why your boilers could be called “green” and how they respond to the need of clean environment? Our biomass boilers are designed for burning not only popular fuels, such as wood chips, sawdust or sawmill waste. The Danes excel in technologies allowing for the burning of, for example, demolition waste wood, which in Poland is not so often used for energy production, but this technology is now increasingly used in furniture factories. Producing energy from waste wood contaminated with adhesives and varnishes in safe and low-emission technology not only helps to protect the environment, but also provides additional free energy. Danstoker also excels in combusting other renewable and waste fuels like straw, seed shells, chicken and pig manure pellets etc. The boilers produced by Danstoker for biomass alone spare the environment of approx. 435,000 tons of CO2 emissions annually. Additionally, there is the contribution of waste heat recovery boilers and economizers, able to even better utilize the heat in exhaust gases from other processes, as well as the generally higher efficiency of our boilers, all of which brings the actual figure much higher up.